Software-defined storage startup Hedvig has launched from stealth mode and announced $12.5m of initial funding aimed at productising a storage virtualisation platform that boasts state-of-the-art storage functionality, including multi-protocol access, hypervisor and Docker deployment, assignment of policies to virtual drives and input/output (I/O) aggregation. Hedvig was founded by former Facebook engineer and inventor of its Cassandra storage system, Avinash Lakshman. It promises the ability to scale out with disk capacity added on the fly, with multi-protocol access to storage. This includes block access via iSCSI and OpenStack Cinder, file access via Network File System (NFS), and object access via HTTP/representational state transfer (Rest) and OpenStack Swift, with Amazon Simple Storage Service (S3) compatibility. The likely shape of Hedvig will be as a software product that sits on commodity x86 or ARM processor-equipped server hardware. It can be deployed on VMware, Microsoft Hyper-V, KVM and Xen hypervisors or in a Docker container. Currently it is planned that there will be a minimum of three nodes per Hedvig cluster with a maximum of 1,000. Storage features promised include synchronous and asynchronous replication, snapshots, clones, thin provisioning, all-flash capability, automatic balancing of data between drives in the cluster, plus compression and data deduplication. Hedvig will operate as a software-defined storage layer that aggregates physical storage resources and promises the ability to create an unlimited number of virtual drives from storage media. It will, the company claims, be able to assign storage policies to individual virtual drives, for example pinning high-performance data to flash drives or bulk data to slower spinning disk. It also promises the ability to aggregate random I/O requests into sequential streams to gain more efficient use of write input/outputs per second (IOPS). Hedvig rolls a number of emerging storage trends into one product, including Docker container compatibility; virtual disk policy assignment, as seen in VMware’s Virtual Volumes (VVOLs); and I/O aggregation, incorporated by VMware into its virtual storage area network (Vsan), following the Virsto acquisition. Above all, this is the software-defined nature of the platform and the ability to create hyperscale or hyper-converged storage environments from Hedvig, plus commodity storage. The trend towards hyperscale and hyper-converged comes from, on the one hand, web giants such as Facebook and Google developing their own server-scale highly-redundant compute/storage infrastructures and, on the other hand, the emergence of server/storage converged products such as those from Nutanix and recently via VMware’s Vsan. 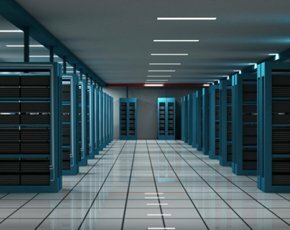 The trend towards software-defined storage looks set to catch on as it offers organisations the ability to build storage systems from cheap commodity servers and storage software. A key pull factor is that the software layer abstracts storage beneath it and offers the ability to provision and maintain that storage without needing complex and storage vendor-specific skillsets. Currently, Hedvig is being targeted at cloud deployments, virtualisation and big data analytics use cases.